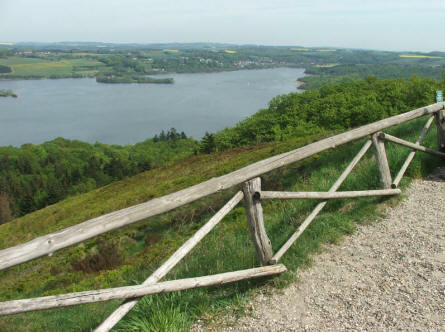 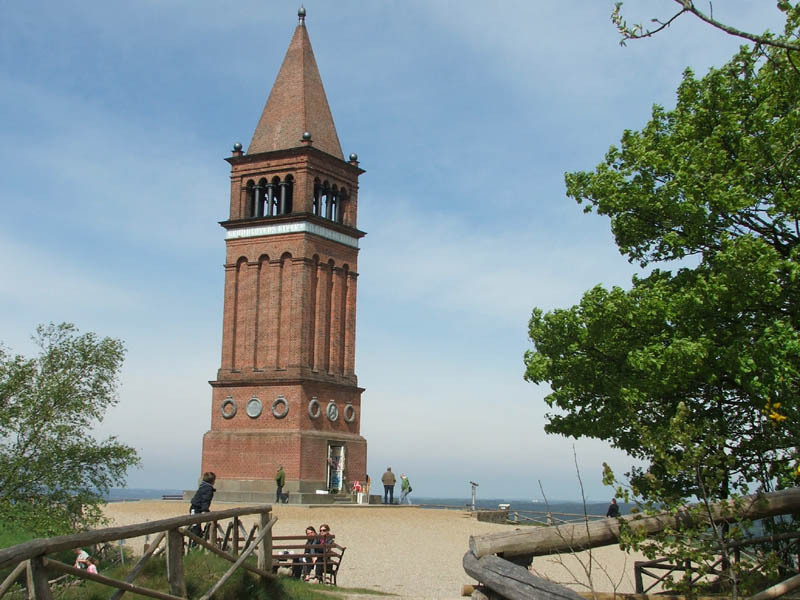 Himmelbjerget ("Sky mountain") is one of the highest points in Denmark - even if it is "only" 147 meters. It is a very significant of point, as it is at the banks of a lake, which gives you a magnificent view from the top. Each year this site is visited by many guest - both from land and from the "sea" as it is possible to sail with tour boats from many of the small cities in the area. At the top of the Himmelbjerget there is a small tower, which gives you an even better view from the top. 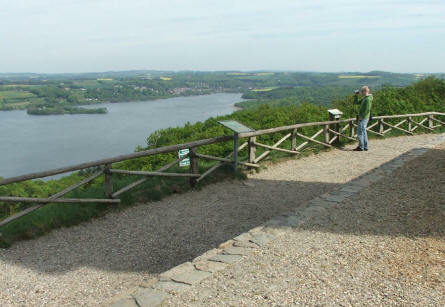 Looking out over the nearby lakes beneath the Himmelbjerget. 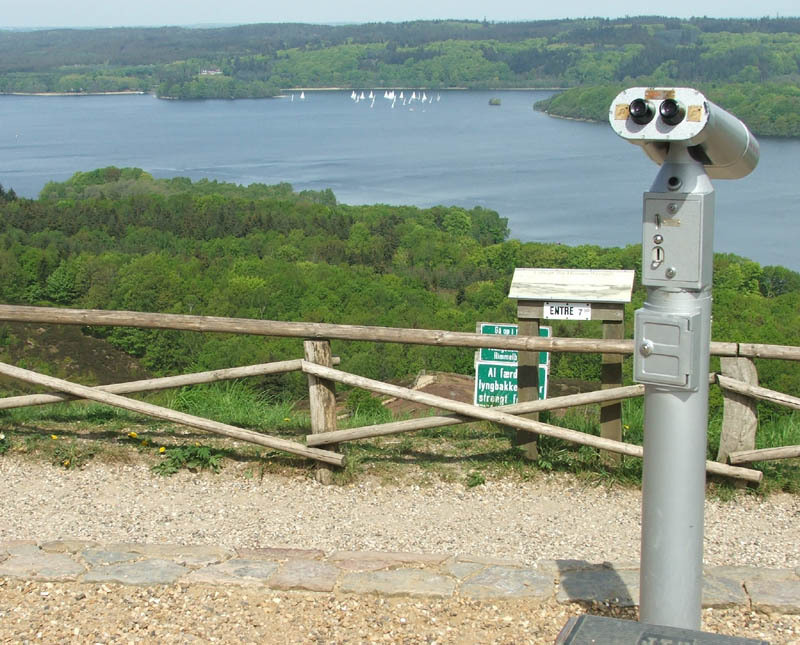 Looking out over the more flat landscape beneath the Himmelbjerget. 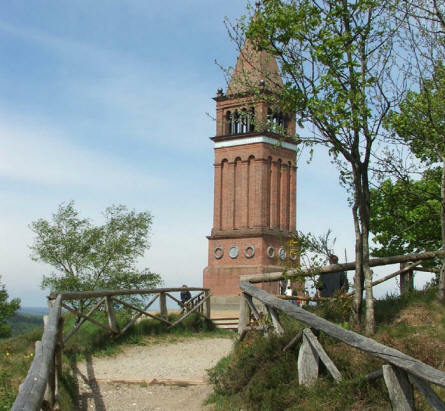 The way from the top to the bottom of the Himmelbjerget is very steep. Using some small trails it is possible to walk from the top of the Himmelbjerget to the lake below - and back. 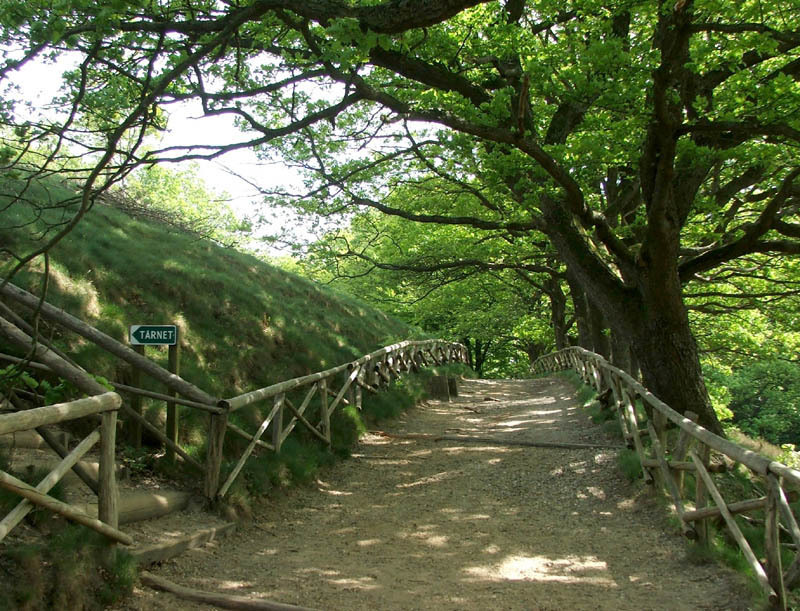 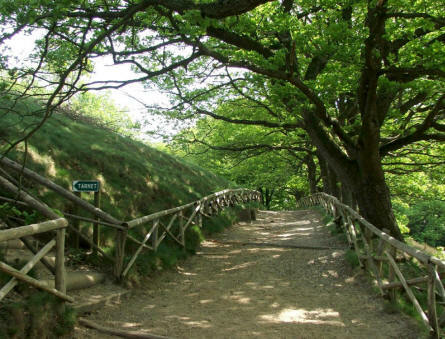 The small trails at the Himmelbjerget are very romantic - but they can be very tough to walk, as they are very steep at some point.